Pressure-Tech, Inc. was established in 1997 with the goal of becoming the premier supplier of pressure vessels and tanks anywhere. With over 22,000 square feet of production floor designed specifically to optimize work flow, the capacity to lift and maneuver components up to 20,000 lbs. and a management team with over 40 years of experience in the design and fabrication of pressure vessels and tanks, we are well equipped to tackle your most challenging projects. We employ over 30 highly skilled craftsman and have made and continue to make substantial investments in state-of-the-art machinery and equipment in order to increase efficiency and streamline our manufacturing processes. We make these investments in the best people and the best equipment so we can offer you a superior product at a competitive price. Give us the opportunity to quote your next project and you’ll find out why our clients won’t go anywhere else. For a custom quote, complete our form. 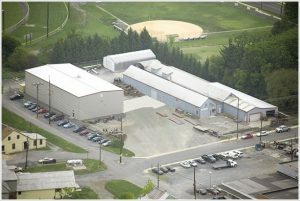 If you want to know more about us or what we do, you can also call us at 717-597-1868 or email info@pressure-tech.net.